So you’ve decided to sign up for a cycling tour in France or Spain, (with Bike Basque ? If so…congratulations!) You’re probably very excited and are likely to have a lot of questions. For the next few blogs, we’ll be talking about how to prepare yourself and your bike in order to have a safe and successful tour, no matter what challenges the road may have in store. Bike Basque is committed to each guest having the ride of their lives, and while we can’t do the hard work of pedaling for you, we want you to be well-informed and well-equipped to enjoy every kilometer. Have your bike professionally tuned. This can flush out minor issues before they become major inconveniences. A quality, comprehensive tune up from a trusted bike shop will evaluate and adjust derailleurs, brakes, wheels and headset. They should also evaluate the condition of cables, chain rings, cassette, brake pads and handlebar tape plus clean and lubricate the chain and offer to replace each item if they are showing signs of wear or loss of function. Let the mechanic know you’ll be riding a long-distance, multi-day tour and if they suggest a replacement, it’s probably the right decision. Would you rather spend a small sum of money on a new cable at the local bike shop while enjoying a coffee or a large amount of time on the side of the road waiting for the support van ? Bike Basque works closely with a local shop, Capra Velo in Biarritz. Their certified mechanic is always on hand to help guests with any last minute adjustments or replacements. Don’t underestimate how much a properly performing tire can contribute to safety and comfort. While you don’t need to necessarily buy brand new tires for a tour, do make sure your tires are in the best shape possible before heading to your bike tour. Evaluate the condition of the sidewall, the depth of remaining tread and look carefully for any holes, cuts or other damage. A damaged tire, a tire with considerable wear or a tire that has succumbed to repeated punctures should be replaced. Also consider the tread pattern and tire width. A high-quality, endurance road tire should offer the suppleness, durability and performance that a Raid Pyrenees or a Basque tour demands. Tire width is a hot topic these days and the best width is the one that reflects your preference and riding style. Though certain tire widths and rim profiles are more complimentary than others, resulting in a better performing combination. 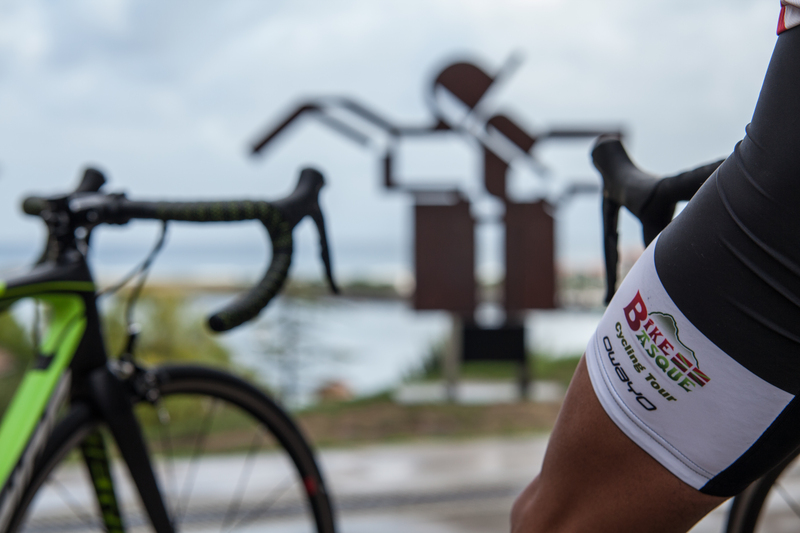 If you have any questions or concerns, speak to your local mechanic, the mechanics at Capra Velo, or your guide at Bike Basque before your tour. They have ridden across most of the regions of France and Spain and can suggest what has worked best for them and previous guests. They can also discuss proper pressures for your experience, weight, tire width and style, road and riding conditions. These can change from day to day on tour but your guides can be trusted to have all the information you need to have a successful day on the bike. 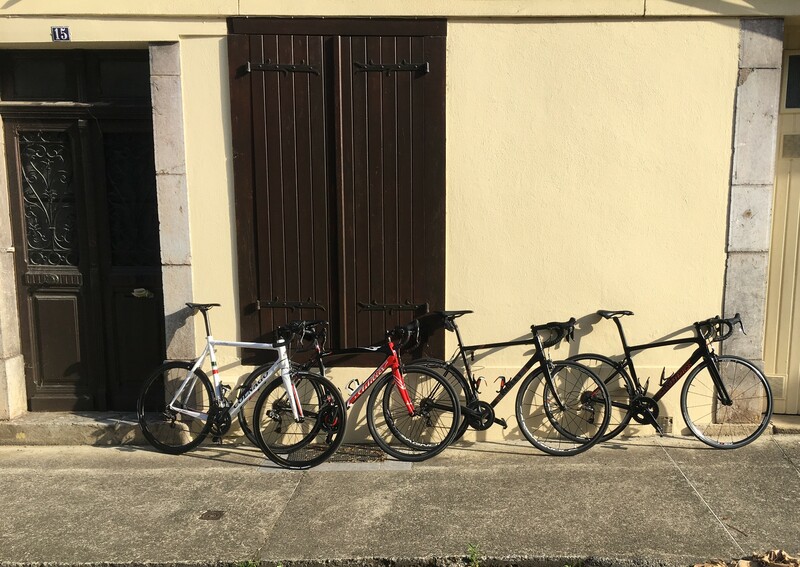 Don’t worry…if you need a last minute tire or two, Capra Velo in Biarritz has several tire options perfect for your upcoming adventure. Have you considered what gearing to bring on your tour? Are you riding the flat roads of Bordeaux, the demanding hills of the Basque Country, or conquering an entire chain of mountains like the Raid Pyrenees ? Climbing the big cols may not be the same as climbing the hills of your home turf. Proper gearing is just as much a matter of preference as it is a matter of performance and practicality. Think about your style. Are you a pedal masher or a pedal spinner ? Do you like to stand while climbing, prefer to sit all the way or like most, mix the two depending on the gradient? Don’t be afraid of “easy” gears. There’s a reason Tour de France professionals run an 11-32 cassette in the mountains. The biggest of the categorized climbs can mean several hours of pedaling uphill. Choose a cassette with gears that allow you to pedal at a sustainable pace without “blowing up” before you reach the summit. Being able to spin your legs at a higher cadence can not only mean faster times up the climb, but result in a more sustainable effort and one that you can repeat, climb after climb for all days of the tour. Remember, these are endurance events, often with many epic days of climbing, though they aren’t a race and there are no yellow jerseys (whether first up a climb or last, each guest is a winner). Our suggestion is to equip your bicycle with a 50/34 up front and an 11/30 or 11/32 in the rear. Is gearing a foreign language? No problem! Not only do your guides speak the local language, they also speak bike. They’re happy to answer any questions you might have before the tour about gearing and more. And if you change your mind last minute after seeing the mountains on the horizon, our local partner Capra Velo stocks several cassettes to make your climbing as easy (or epic) as you please. Many of our guests prefer to rent a bicycle, instead of dealing with the hassle of traveling with bulky bags or shipping boxes. Bike Basque offers a full line of brand new Orbea M20 19 for rent by the day or for an entire tour. They are modern, high-performance carbon frames with endurance geometry and reliable Shimano Ultegra components. Orbea is a proud Basque brand and is the perfect fit for riders looking to explore the Basque region or conquer the challenges of the Raid Pyrenees or Raid Alps. If you do prefer to ride your own bike, consider shipping it to Capra Velo ahead of time. They’ll have it built, adjusted and ready to ride when you arrive in Biarritz. If you travel with your bike, you can even have it picked up from the airport (or drop it off) at your convenience and while you’re settling in to your hotel, they’ll prepare your trusted steed for the adventure ahead. If you have any questions about how to prepare your bike for your upcoming trip, don’t hesitate to contact Bike Basque. 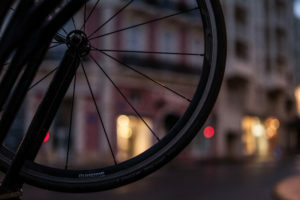 In the next few blogs we’ll talk about preparations for the cyclist, including some tips on bike fit, fitness, nutrition, how to train and what to pack to be prepared for your two-wheeled adventure.